A well-dressed man is found dead, floating in a New York harbor basin. The drowned man originally hailed from a small town in Alabama and, according to local authorities, died six years ago. The FBI gets involved. 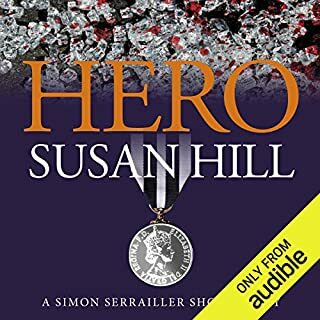 Agents Cotton and Decker soon realize that there are more cases like this: affluent criminals who were living under false names and then were murdered. 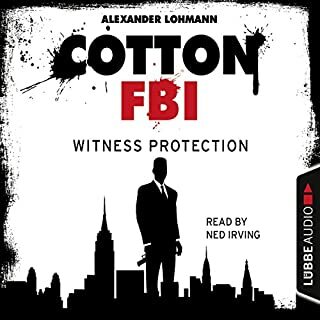 These very names also appear on the list of a witness protection program and Cotton receives a visit from two colleagues who won't tolerate any further Investigation. 12:04 AM, New York. An American Airlines flight making its approach to landing. The descent is stopped and the aircraft begins to circle over Manhattan as if it were guided by an invisible hand. - 1:00 AM, G-Team HQ. Agents Jeremiah Cotton and Philippa Decker learn that terrorists have hacked the onboard systems and taken control of the airplane. They are demanding the release of Seif al-Bakkay, a high-level terrorist. New York. Hundreds of commuters just barely escape with their lives when an attack on the George Washington Bridge fails. The attempt falls in line with a chain of acts of sabotage that occurred at famous landmarks in the past few weeks. Obviously, someone is targeting prominent structures in New York. What are the perpetrator's objectives? 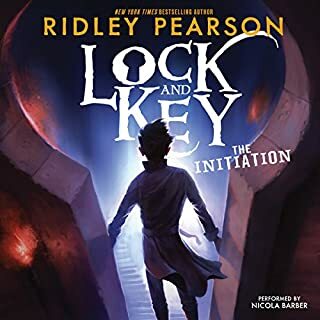 Agents Jeremiah Cotton and Philippa Decker are facing a mystery. Until there is another attack. Right before their eyes. Nearly 1,000 feet above Manhattan - on the Empire State Building. New York City. A Chinese woman was brutally murdered and Jeremiah Cotton, a young cop with the NYPD, just can't let go. He suspects that the woman is the victim of a serial killer, but no one believes him and he is taken off the case. 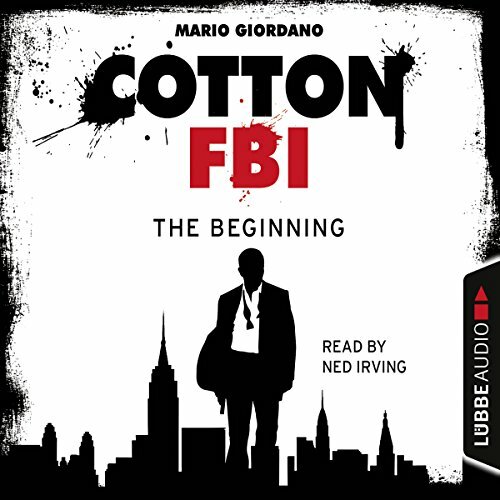 While carrying out an unauthorized investigation, Cotton encounters a division of the FBI whose existence no one knows about: the "G-Team". 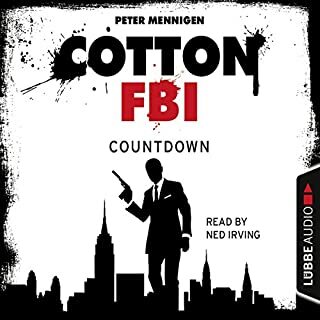 Stubborn and persistent, Cotton asks uncomfortable questions about the mysterious unit - and runs afoul of Special Agent Philippa "Phil" Decker in the process. 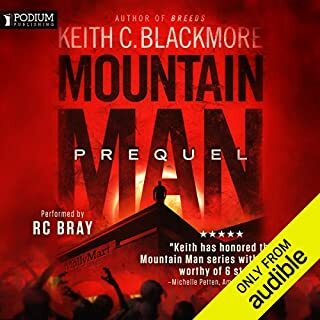 When he narrowly escapes an attempt on his life, Cotton realizes that this is no ordinary killer hunt and the hotter the case is getting, the more determined he is to stay involved. A new legend is born! 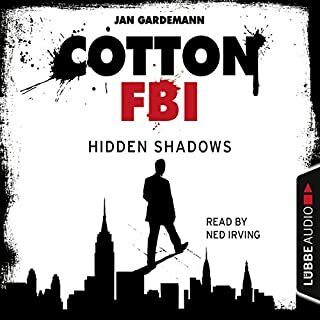 COTTON FBI is a remake of a world famous cult series with more than one billion copies sold and appears bi-weekly with a self-contained story in each audio book episode. overall a gripping story with a very likeable main character. will definitely read number 2. Really terrible writing and bad reading as well. Don't waste time with this one. I feel like it was probably written by a 3rd grader. Terrible. Easy listen ............... Non offensive, the kids can listen too. It annoys me being made to write more words than needed before this is enabled to SUBMIT.